Paris (AFP) - Air pollution causes 790,000 premature deaths every year in Europe and 8.8 million worldwide, doubling recent assessments, according to a study released Monday. Between 40 and 80 percent of those excess deaths are caused by heart attacks, strokes and other types of cardiovascular disease underestimated up to now as a driver of smog-related mortality, researchers reported. On average, a toxic cocktail of pollutants from vehicles, industry and agriculture shortens the lives of those who die prematurely by 2.2 years, they calculated. "This means that air pollution causes more extra deaths a year than tobacco smoking, which the World Health Organization (WHO) estimates was responsible for an extra 7.2 million deaths in 2015," said senior author Thomas Munzel, a professor at the University Medical Centre Mainz in Germany. "Smoking is avoidable, but air pollution is not." Small and larger particulate matter, nitrogen dioxide (NO2), sulphur dioxide (SO2) and ozone (O3) have likewise been linked to drops in cognitive performance, labour productivity and educational outcomes. The new study, published in the European Heart Journal, focused on Europe, but the updated statistical methods were also applied to the rest of the world. "The revised number for China is 2.8 million deaths per year," more than two-and-a-half times current estimates, lead author Jos Lelieveld, a researcher at the Max-Plank Institute for Chemistry in Germany, told AFP by email. Findings for non-European countries will be published separately, he said. The scientists applied the new Global Exposure Mortality Model to a much-expanded epidemiological database -- with updated figures for population density, age, disease risk factors, causes of death -- to simulate the way in which natural and man-made chemicals interacts with the atmosphere, itself composed of gases. By far, most deaths were attributed to microscopic particles less than 2.5 microns in diameter, known as PM2.5. By comparison, the average human hair is 60-to-90 microns thick. "New data has become available for fine particulate matter indicating that the hazardous health impact of PM2.5 are much larger than assumed previously," said Lelieveld. The WHO has recommended that the density in the air of these dangerous microscopic particles should not exceed, on average, 10 microgrammes per cubic metre (35 mcg/m3) per year. European Union standards are far more lax: 25 mcg/m3. But even at this level, several European countries regularly exceed this limit. "The WHO standards over the last decades have become stricter," said European Environment Agency executive director Hans Bruyninckx, who was not involved in the study. "We used to speak primarily about carcinogenic effects, or immediate impacts on the respiratory system," he told AFP. "But now we understand the link with cardio issues, brain related issues, and some reproductive issues." Worldwide, the study found that air pollution causes an extra 120 deaths per year per 100,000 people. In Europe, despite more stringent pollution controls than in most other regions, the figure is higher -- 133 deaths per 100,000 people. "This is explained by the combination of poor air quality and dense population, which leads to exposure that is among the highest in the world," said lead author Jos Lelieveld, a researcher at the Max-Plank Institute for Chemistry, also in Mainz. Even steeper rates of excess death in eastern Europe -- over 200 per year per 100,000 people, for example, in Bulgaria, Croatia and Romania -- were attributed to less advanced health care. "Since most particulate matter and other air pollutants in Europe come from the burning of fossil fuels, we need to urgently switch to other sources for generating energy," said Lelieveld. The 2017 Global Burden of Diseases study found that PM2.2.5 and ozone pollution caused some 4.5 million deaths in 2015, while European Environment Agency estimates, also based on 2015 data, calculated 480,000 premature deaths -- due to the three most toxic forms of air pollution -- in the European Union. 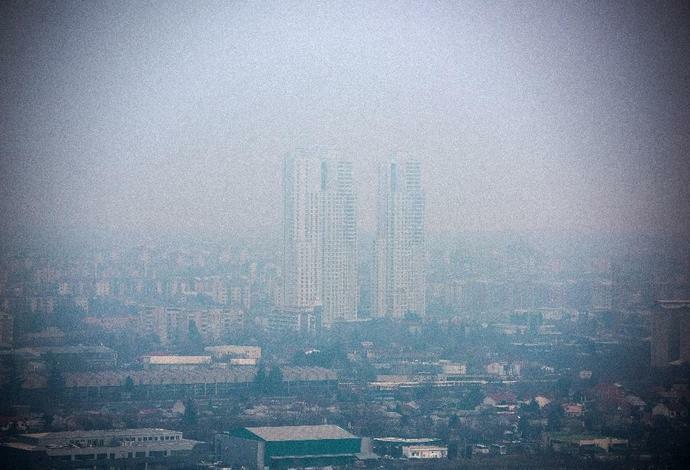 The new study "suggests earlier models underestimated the cardiovascular risk associated with air pollution, and we tend to agree," said Holly Shiels, a researcher in the Division of Cardiovascular Sciences at the University of Manchester. "The call for reassessment of current UK and EU air quality regulations seem highly warranted." Though California cities have the nation&apos;s worst air quality, as usual, a new report finds that smog and soot pollution is increasing in other U.S. cities as well.